It doesn’t matter if you have a vegetable garden or just a big grassy lawn — you will eventually have heaps of ‘green waste’. Grass clippings, weeds, pruned raspberry canes, plants that have gone to seed, you name it. Some of us might pile it all up and hope for the best and others cart it off to be disposed. 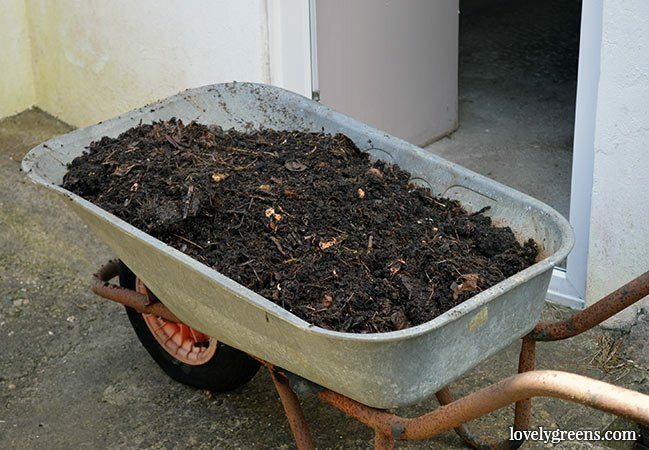 All of this waste can make fabulous homemade compost though! I’ve just taken on another plot at my allotment and have had to clear a lot of weeds and brambles. 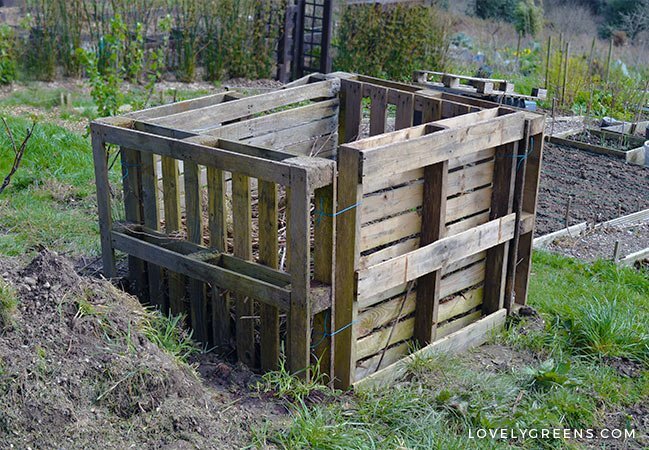 I don’t have a whole lot of time to build a fancy compost bin which is why I’ve used pallets to create a simple one. It takes about ten minutes to build if your land is flat. If it’s on a slope, like mine, it will take about thirty minutes to build. Once it’s up, it’s sturdy and will hold the perfect amount of garden waste for aerobic composting. To be truly effective, a compost pile needs to be a certain size. That’s why the plastic compost bins that are sold in many garden centres just don’t cut it for aerobic composting. I have a plastic bin at home and in my allotment garden but am unhappy with the progress of the one in my veggie patch. The one I have at home does great when filled with a mixture of brown cardboard and kitchen waste — it’s mainly worms that break it down. 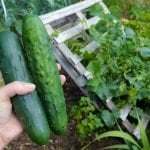 The bulkier materials in my vegetable garden aren’t as attractive to worms and need the help of microbes to transform it into garden compost. After the microbes do their work then worms will start making their way into it. Plastic compost bins rely on worms rather than microbes to break down waste. For a pile to create the right environment for microbes, a compost pile should be between 3-5 square feet. Any smaller and it won’t be large enough to hold the heat needed, any larger and the bulk of it will stop air from getting to the centre. Although pallets come in various sizes, they generally have one side that’s at least three foot wide. Many of them have a longer side that’s four foot. 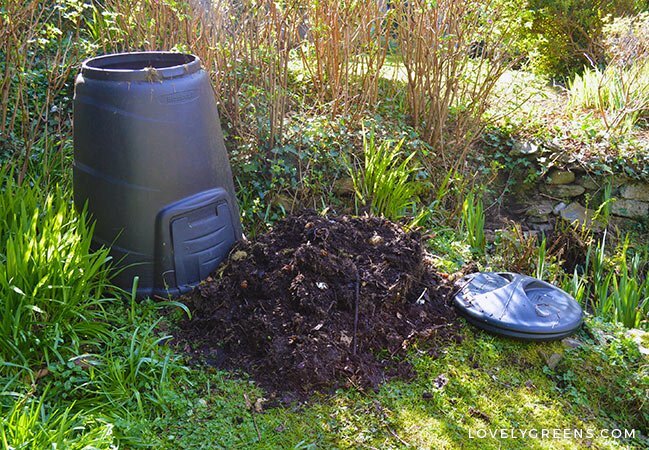 This size is perfect for building a quick-and-easy compost bin that can be tucked into a discreet corner of the garden. For this project you will need four wooden pallets that have been heat treated rather than chemically treated. Pallets are wooden structures used to ship goods from region to region and from country to country. To help stop the spread of invasive species — namely insects — they need to be treated. My allotment garden is on a south-facing slope which isn’t the best place to put a pallet compost pile. It will have to do for me though. When you’re thinking about where to put yours, the ideal place is sheltered from wind, on level ground, with partial sun, and not directly under trees. Trees can shade the pile too much and their roots can begin growing into your pile. It will be fine if you need to place your pile in a more challenging position (like me) but you’ll need to keep a closer eye on it. The material inside shouldn’t get too dry or too wet. It also shouldn’t be placed where it will get too hot or too cold for whichever stage of composting it’s in. 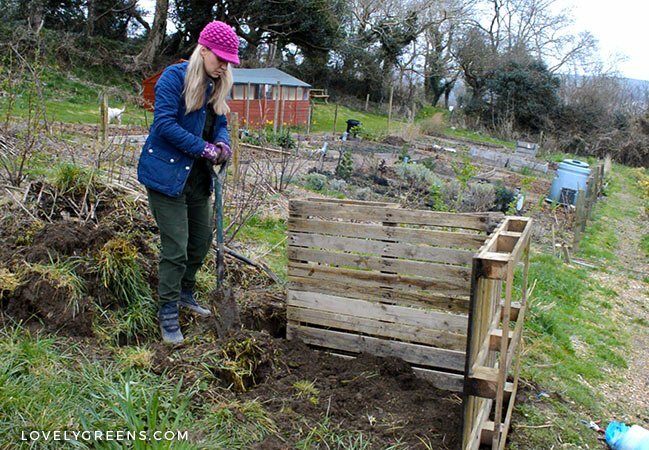 It really is as easy as pie to make a pallet compost bin. If you’re on a flat surface, stand two pallets up so that their longer side is their width, rather than their height. 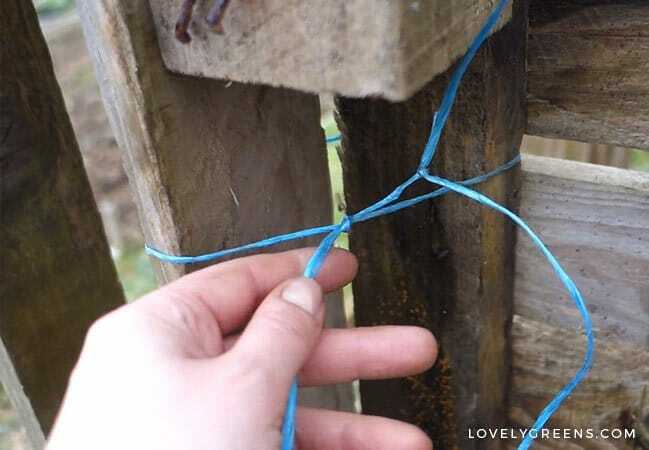 Overlap them at one end and use either foot long zip ties or baling twine to bind them together. Natural fibers like garden string will break down over time so you’ll want to go with a good synthetic material. Add the third pallet on and bind it too. I went for tying them together at both the top and bottom for extra stability. These three pallets for the sides and back to your compost bin. The fourth pallet is your gate and will need to be taken off from time to time as you move compost from one bin and into the next. Keep this in mind as you tie it on too. With mine I went for baling twine again since I have plenty to spare and can cut the twine and replace it as need be. 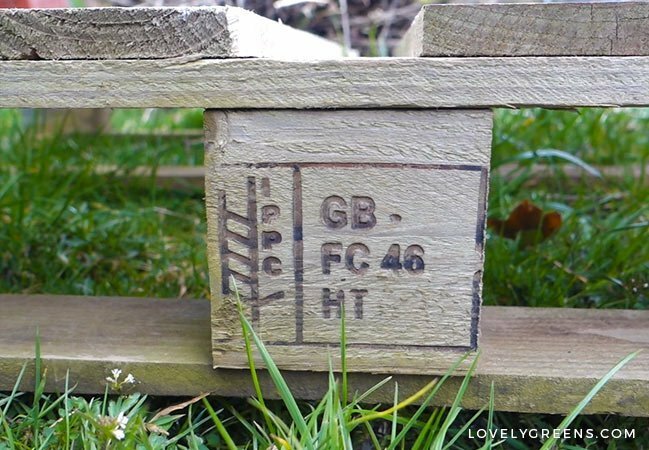 It really is as easy as that to create a simple wooden compost bin. If you want to go the full distance, you can attach your pallets with screws, brackets, and hinges. Personally, I don’t have the time or inclination to spend doing this since I know that pallets have about a four to five year lifespan. After that, they’ll need replacing and zip ties and baling twine will do the same job for much less effort. (more lazy gardening tips). 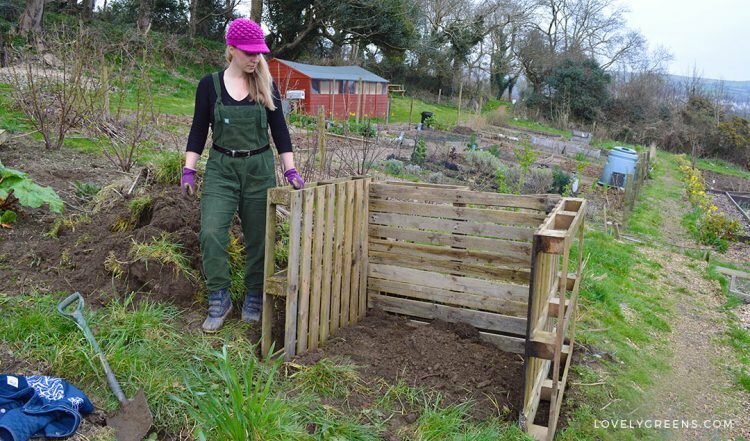 If you’ve got no choice but to build your compost bin on a slope, you could dig them in. I dug trenches for the pallets so that they all sit level, relative to one another. This creates a bit more stability and makes the bin a little less obtrusive in the landscape. 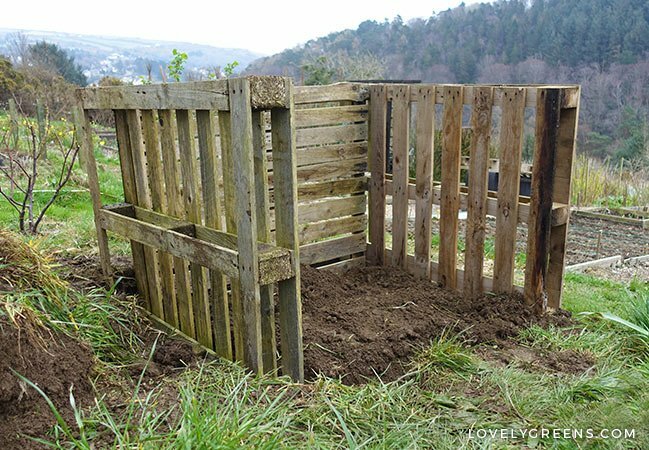 I figured that the compost will form better if it’s level with the sides of the pallet compost bin. Completely unscientific but I’m going with my gut instinct on that one. One thing that might be a good idea is to cover the inner walls with a sheet of air-permeable but weed resistant material. I’ll do that too if I have any issues with weeds creeping in from the sides. 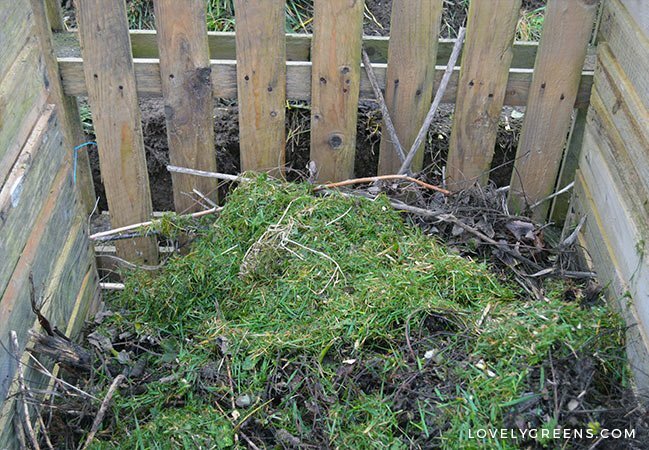 Building a compost pile is simple but strict. You need a good mix of materials, not just a big mound of grass clippings, to make good garden compost. First of all, you need to lay down thin layers of ‘Green’ and ‘Brown’ materials. Green materials are high in nitrogen and include: grass clippings, fruit and vegetable scraps, coffee grounds, fresh green garden waste and weeds, farmyard manure, sea weed, and tea bag leaves. Get rid of the tea bag though since most of them are plastic mixed with paper. Brown materials are high in carbon and include: brown cardboard, newspaper (coloured ones too), leaves, dried grass, straw, hay, animal bedding, pruned raspberry canes, sticks and twigs, and pine cones. These materials need to be collected separately and then at once stacked into a pile that’s at least three feet tall and no more than five. There are a few types of microbes that work at different temperatures to break your compost down. The science to making compost is fascinating and your compost pile’s temperature will tell you which micro-organisms are at work. As a general rule, your pile should start off warm (55-70ºF — 13-21ºC) and then get hotter as heat-loving microbes take over. You can get your pile’s temperature with a long compost thermometer that can get down at least 20″. If your pile gets over 160ºF (70ºC) then you need to take action to cool it down. Turning compost usually does the trick. Compost will gradually cool to an ambient temperature as the waste is converted into compost. It’s then that you’ll start seeing worms, bugs, and other insects. You’ll probably also see slugs and snails. It’s a good idea to remove these before you use your compost in the garden. 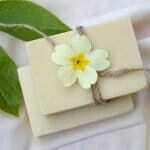 Lovely Greens has more pallet projects for the home and garden. Everything from how to make a Better Strawberry Pallet Planter, to a DIY Herringbone Table. Head over here to browse ideas. Loved your video and was not aware of the two different codes on the wood pallets designating how they are treated. Will certainly be looking for that from now on. Currently I stack mine 3 high for each of my bee hives, plus a few other uses. On a side note, did not see the link you mentioned about the cute jump suit you are wearing. I’m always on the lookout for something comfortable to wear while working in garden outdoors, especially if it has good pockets! 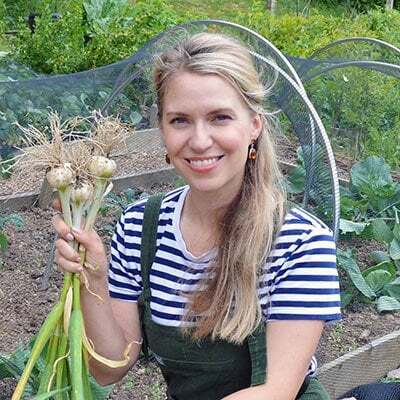 Great video – very well explained and I’m going to build a compost pile later today! 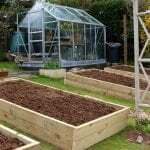 I’ve just moved house, have nowhere to out grass cuttings plus I already have pallets and didn’t know what to do with them!. I didn’t want to go and buy a whole load of extra equipment as shown on other sites, so twine or zip ties look a fab alternative. Thank you! 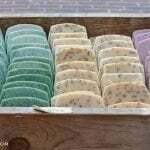 Iam having a hard time finding the horticultural grit you talk about, in the town I live in, in the U.S. Is there a different name that it would be called here? Or a product similar to it ? Any kind of fine crushed rock should do. In what application did you want to use it? 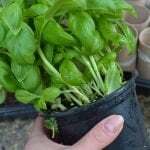 In potting mixture or to top the compost in containers? Obvious question is where pallets can be obtained from? Skips, garden centre bins?? It depends on your area — mine come from industral sites or I’ll sometimes see them abandoned. In other places they’re so popular that you have to buy them. What happens when it rains/snows? Do you cover it, or leave it exposed? I have it covered with plastic — it keeps me control the compost from getting to wet or too dry. I really hope you make a video on how to make and use compost tea . I really enjoy your video and blog !! It depends on what you put on your heap. They shouldn’t smell that bad but if you’re adding cooked food and manure there would be an aroma. I’d recommend you don’t add cooked food though — it will attract rats and other pests. This is actually a dangerous idea. 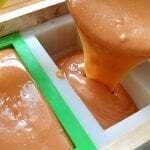 Pallets are usually coated with toxic chemicals as a preservative. I would remove this post. Not all pallets are coated in Methyl bromide, the chemical you’re referring to. There’s more guidance on selecting the right pallets for home and garden projects in the piece.